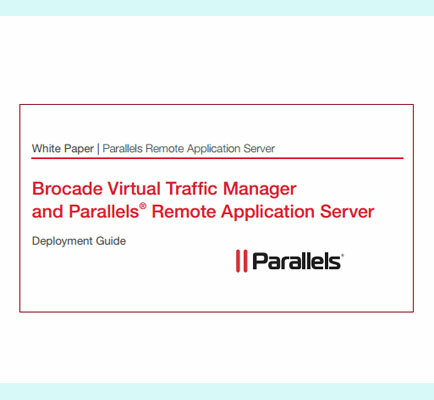 "The Brocade Virtual Traffic Manager and Parallels Remote Application Server Deployment White Paper"
The Brocade Virtual Traffic Manager and Parallels Remote Application Server Deployment White Paper describes the different ways of load-balancing different Parallels Remote Application Server (RAS) components. The guide also details the reference architecture of the Parallels RAS solution. This white paper is written for network operations professionals, server administrators, and DevOps professionals familiar with administering and managing application delivery controllers (ADCs), servers, and applications. What This White Paper Covers?